Let's say you were in the market for something grandiose and fictional—like maybe The Legend of Zelda's Hyrule Castle. How much money, hypothetically speaking, would you have to drop for a pad like that? 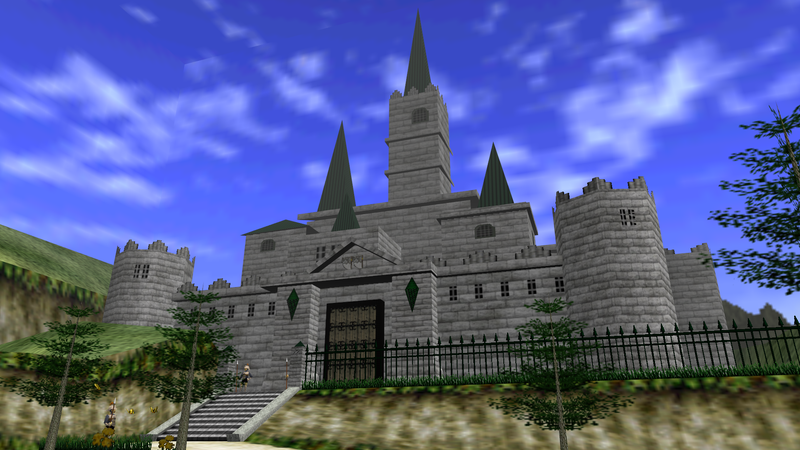 Real estate blog Movoto took the time to calculate how much a property like Hyrule castle would cost if it were real. In order to do this, they looked at the three major things that determine property value in this case: location, size, and comparable castles. Interestingly, the only real-life place that comes close to what the land of Hyryle has to offer—with volcanos, deserts, lakes, forests, mountains and plains—is Italy. The Gerudo Desert: This was one of the tricky parts. Sure it was easy to find places with forests, fields, and even mountains—but to throw a desert in there? C’mon, geography! But in Tuscany, Italy there is the Accona Desert. In fact, it even lies to the west, much like Gerudo in the game. The Volcano: Now this was another reason Hyrule had to be Tuscany: Larderello Volcano. Surrounding Larderello volcano is the village of Larderello, aka Kakariko Village from the game. And surrounding the village, mountainous terrain where if you look hard enough, you’ll probably find some Gorons wandering around. The Lost Woods/Kokiri Forest: Berignone Forest, one of the largest forests and today, natural reserves in Tuscany. Lon Lon Ranch and surrounding field: The closest I found to Lon Lon Ranch was Podere Palazzone, a famous horse ranch in Tuscany. It is surrounded by miles and miles of green grassland, perfect for Epona to stretch her legs. And if I haven’t already out-nerded myself, one final reason the land of Hyrule must be Tuscany, Italy: The ocarina. The first use of the ocarina in western civilization was in Italy centuries ago. You can read more about the specifics of these figures in Movoto's post here.